The founder and Master Instructor of the Tao Institute, Frank J. Paolillo (born August 16, 1947), is a certified teacher (Sifu) of the Shantung Martial Arts of China and recipient of the “Educator of Kung Fu” award under his primary teacher, Grandmaster Pui Chan of Sha Cheng. In 1993, Sifu Paolillo assisted as coach of the U.S. Kung Fu Team at the World Championships held in Zhengshou, China. He also served as Chief Judge of the Internal Martial Arts division at the 2000 World Championships in Orlando, Florida. The World Championships hosted participants from 22 countries. As a longtime faculty member of the Classical Acupuncture Institute, he received an Honorary Doctorate of Acupuncture along with the Worsley Award for Outstanding Teacher. Sifu Paolillo has studied with Internal Martial Arts Masters: Kay Chi Leung of Taiwan, Li En Jiu of Jinan, Zhang Xia Xin of Bejing, and Hing Ling Kwan of Zhengzhou. Sifu Paolillo teaches the cultivation of essence, energy, and spirit through Taoist meditation and Qi Gong, the silk reeling spiraling power of Chen Tai Chi Chuan, the coiling and circling movements of Dragon Ba Gua Zhang, the speed and patience of Northern Praying Mantis Kung Fu, Chinese Weapons, and Tao Style forms and post training. Sifu Paolillo brings the best traditional training to his students. He combines these studies with a devout following of the Tao and Taoist principles. Each movement, form, or meditation comes from the Tao and thus has an impact on his students lives...not just their martial art training. This Taoist approach to teaching and training provides an atmosphere where self-cultivation and training the mind, body, and spirit together as one are embraced and encouraged. Sifu's advanced Tao Style training builds upon the lessons learned from the traditional forms and training techniques while including Tao style empty hand forms, Ba Gua posts & wooden man training, and other speciality weapons. 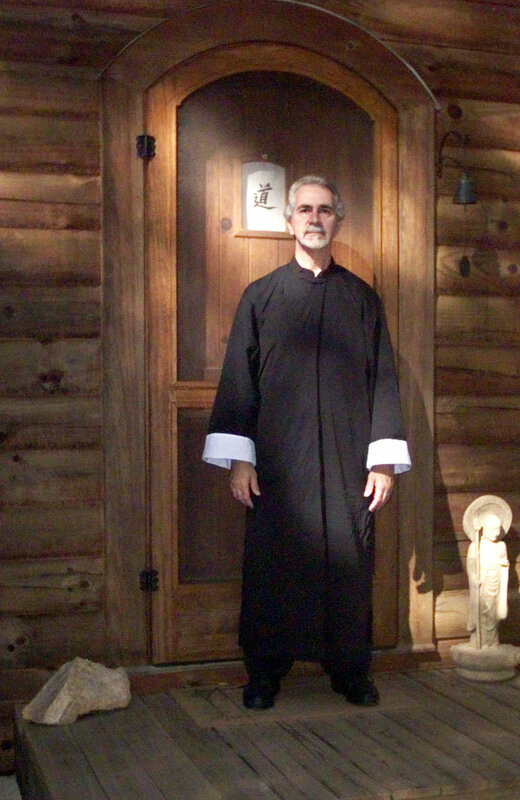 Sifu Paolillo lives in a Mountain Sanctuary outside of Asheville. In the tradition of the mystic teachings of ancient temples, the unique Tao Mountain Sanctuary provides a private mountain retreat to conduct deep training and private individual instruction. Mela is a dedicated student and assistant instructor to Sifu Paolillo. A martial arts practitioner since 2001, Mela was called to the internal arts and Asheville area in 2011, where she first began training at Tao Institute. Over the course of her training, Mela has come to understand, live by and deeply respect the philosophies of the martial arts and Tao in every day life. Mela teaches the entry level classes at Tao Institute and is a main assistant under the direct supervision of Sifu Paolillo in classes throughout the curriculum. Mela is also Tao Institute’s resident Astrologer. Her study of the Tao and Chinese Internal Martial Arts has greatly influenced her astrological work. She incorporates both eastern & western approaches in her intuitive and in-depth readings. Please visit her website to learn more. From the first time Emily saw Sifu Paolillo demonstrate the Chen Tai Chi form, she knew that pursuing this practice was one of the reasons she was put on this earth. Being able to assist in others’ learning of this sacred movement is one of the greatest honors of her life. Emily had studied Taoism in her late teenage years and intuitively knew that there was something missing in her spiritual practice. She was called to the mountains of Western North Carolina in 2002 and soon after began looking for a martial arts instructor who resonated with her sensitive nature. She began her practice with Sifu in 2003 and her dedication has never wavered. Under the guidance of Sifu Paolillo, Emily helps practitioners deepen their awareness of internal power which comes from stillness and the accumulation of softness.